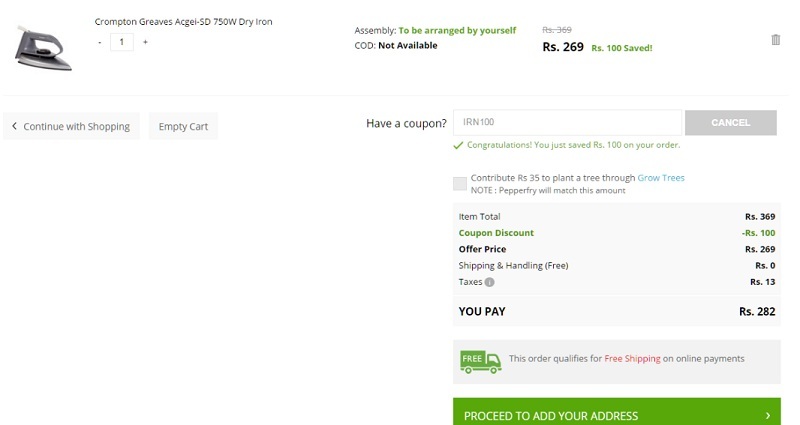 Pepperfry Is Now Offering Great Offer On Irons Shopping Where Is Users Can Get Extra Flat Rs 100 Off On Any Irons Shopping. No Minimum Purchase Value Required. Apply IRN100 Rs 100 Off. This Offer Valid Till 19th Dec 2016 Only. Follow Below Mention Steps To Grab This Offer.